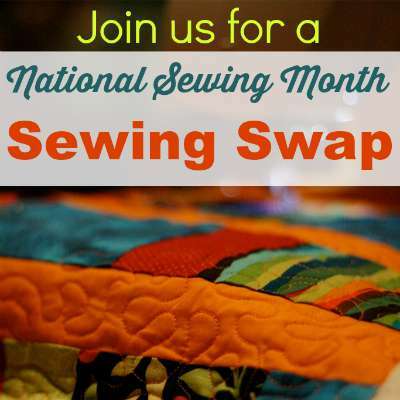 Just a quick reminder today that if you are signed up for the National Sewing Month sewing SWAP, that the deadline to send your parcel is 30th September. Can't remember the details of what you signed up for? No worries, you can check out the original article for the details HERE. You should have received your email with the details of your swap partner some time ago. You can contact your swap partner and say hello, ask them their favorite color. The original swap buddy email was sent to both of you so just hit reply, remove the So Sew Easy address and that's your partner left in the To box. Already got your swap parcel? We'd love to see what goodies you got. Come and share with us on the event page. 3. Maybe stop a while and show us some more of your sewing projects. Running a bit behind and need more time? Please let your swap buddy know. Remember they are excitedly waiting on their delivery, so please, don't let your buddy down!